Content management page - as shown in screenshot 1 - lists all the contents that are available to your parking site as well as helping you update and delete them. 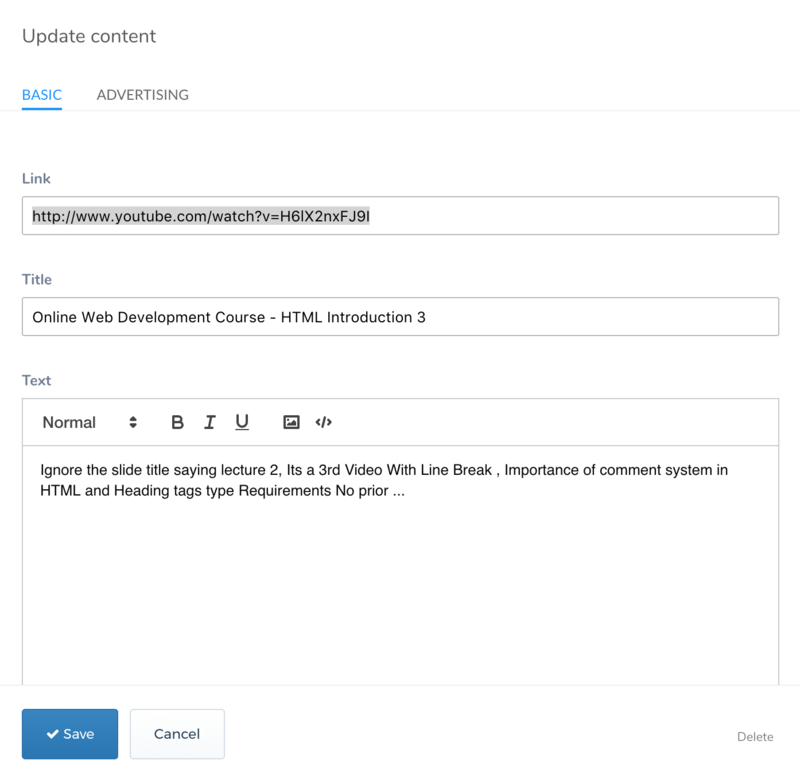 When you click on each content, you can edit its details in a popup dialogue as shown in screenshot 2. Under the Basic tab you can update all the information about that content. The advertising tab is same as one that was explained in the Monetization page. 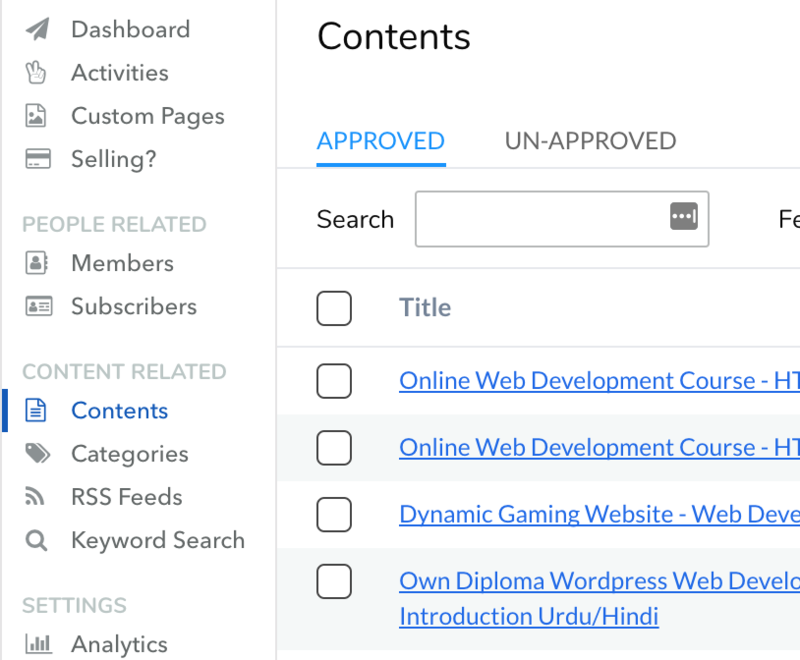 However, when you add advertising items at content level, the ad items you added at the site level via Settings > Monetization and Category level ad items will be overriden by this.